When we first met Hong Kong model Wilfred H, he seemed like the guy next door: a used gym-membership card, a flop of hair that would be perfect for a shampoo ad and an easy grin that made him – according to one of our photographers – commercial, not high fashion. 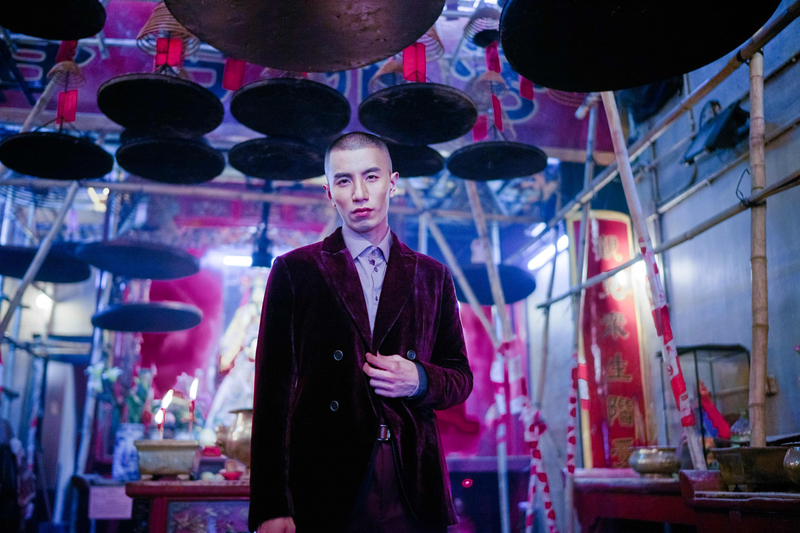 Five years later, he’s shaved his head, shaped himself to fit the bill of an edgy working model and reached out beyond the Hong Kong casting to Europe. 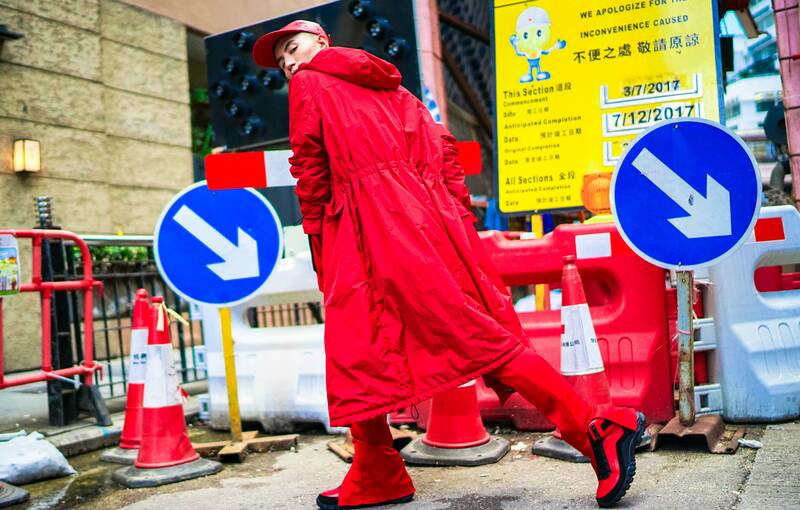 The first Hong Kong model to be listed in models.com, he’s walked for Dolce Gabbana Sartoria and Angel Chen Studio in Milan, and Belstaff and Xander Zhou in London. And he landed the Nike worldwide campaign – plus there are other images of him floating around billboards of Indonesia and China. Between trips to the world’s fashion capitals, where he has more castings and work ahead, we caught up over yum cha. And a distinctly local shoot shot in the streets of the 852. After you cut off all your hair, did you notice a change in the industry’s attitude towards you? Of course. I was no longer waiting for castings – I did so many edgy editorials and I went for many castings, not only here but in Europe as well. My opportunities grew. It was my second season in Europe, so I was a bit more relaxed than before. Fashion week is a lucky draw. You don’t know who you’re going to compete with and which themes the brands are going to present. I know models who try build specific portfolios and styles for certain clients. For me, I prefer to keep it open. London has opened up its castings to include more Asian models but the number of shows I walked for remained the same. What were your major shows this season? In Milan, I did castings for Off-white, Damir Doma and Stone Island. I’m also hoping to walk for typical Italian luxury brands like Armani and Versace. I really appreciate that Belstaff and Dolce & Gabbana had me again. 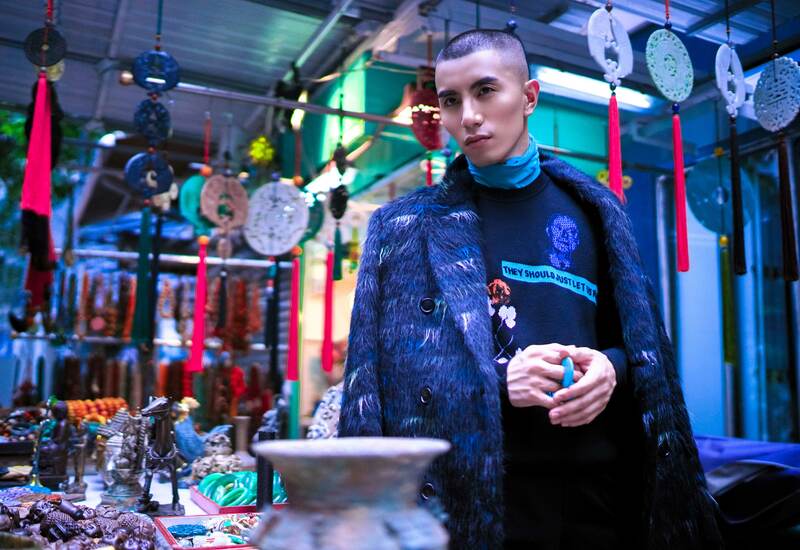 After all, being able to model in Europe is a big deal for Asian boys, particularly those from Hong Kong. What’s casting like in Europe? There’s always a very long queue, so you end up waiting for two or more hours. They may look at your book and ask you to show them your best walk. If you’re suitable, they’ll try to put you in a couple outfits and photograph you. You might get a call back for fittings, but nothing is confirmed. They always kick models out or cancel one or two looks just before the show. You don’t really get explanations. Do you see people from everywhere? There are so many models from different places, all different shapes and races. White models are the majority, then black, then Asian. Korean models are everywhere, they’re very strong and united, and they always travel in a squad! Then there are a few Japanese and Chinese models, but you can find only one or two boys from Hong Kong. Do you feel there’s an agenda or a quota from brands, like they’ll have just token Asian models – and they can’t tell the difference between them? Racism is a problem but from my experience it’s a minor problem. I won’t consider differences in demand for Asian models racism. After all, the ultimate customers for certain brands are European – that’s why it’s so hard for me to enter the Paris market. From experience, what advice do you have for aspiring Hong Kong models trying to break into the Western market? One thing is certain: we have to be ourselves. If you’re Chinese, never pretend you’re Japanese or Korean. Brands prefer models with their own characteristics and personality. When you’re abroad alone, things can become crystal clear. It’s a golden time to be an observer! We see ourselves through the behaviour and reactions of other people. Modelling is my job and getting used to being alone is a part of personal growth that you can either enjoy or endure.